5 Healthy Foods for Happiness! Fill your fridge with these healthy foods for happiness and start satisfying more than just your hunger! A grumpy mood can pass through as swiftly as the wind, or check-in for extended stays inside your mind. While often overlooked, food can often be the sneaky culprit behind your disavowing disposition. It’s important to eat the right healthy foods for happiness and stability in your life. The fact is, your mood can be directly influenced by the foods you eat. For instance, did you know that foods like potato chips and margarine can actually prevent you from achieving your own personal awesomeness? 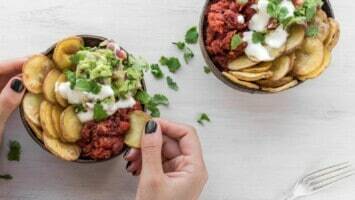 The difference between mood-elevating foods and the foods that can start a psychological slide seem to be based on essential ingredients like D and B vitamins, omega-3 fatty acids, and even tryptophan. Eat these 5 healthy foods for happiness to fill up and feel good! Bananas are high in calming B vitamins. The level of vitamin B6 in Bananas can smooth your mood naturally through the regulation of your blood glucose levels. The potassium in them will help to maintain a steady heartbeat as well. 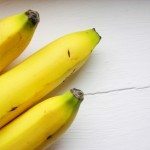 Bananas are even great for morning sickness! If you’re feeling nauseous when you roll out of bed, incorporate snacking on bananas between meals to keep your glucose levels normalized. 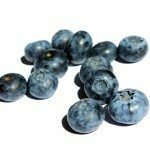 Blueberries carry energy to the brain, providing you with a heightened sense of awareness and vigor. Blueberries do more than energize, however – they also relax! Your arteries actually relax once the nitric oxide provided by blueberries enters the body. Cherries can be considered a natural remedy source for sleeplessness. 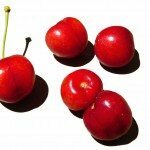 Tart cherries help to boost the brain chemical, serotonin, that regulates your sleep and mood. Tart cherries also contain the self-regulating hormone, melatonin. Di d you know that green-tea habit can take the blues away? Green tea may be your golden ticket to feeling free and clear once again. 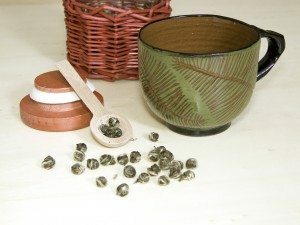 A study of over 1,000 Japanese senior citizens showed that those who drank 4 or more cups of green tea daily showed less signs of depression (44%). What makes green tea a magical elixir you might ask? According to researchers, an amino acid found in green tea called theanine might play a role. (Fact source) Green tea consumption is associated with depressive symptoms in the elderly. Niu, K. et al., American Journal of Clinical Nutrition 2009 Dec;90(6):1615-1622. Last but not least is that soothing sense of serenity that covers you with every bite of chocolate. Why do you feel oh-so-good after eating a piece (or two) of chocolate? As soon as you take that first beautiful bite, your brain’s opioid production goes through the roof! (Opioids are chemicals responsible for reducing pain, increasing good feelings, and just making you feel warm and fuzzy all over.) 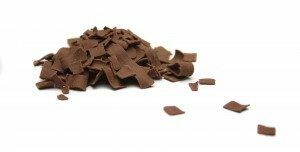 Chocolate doesn’t have to be bad for you either – you can use dark chocolate, or cacao, which is chocolate in its raw form. Are these foods in your home? 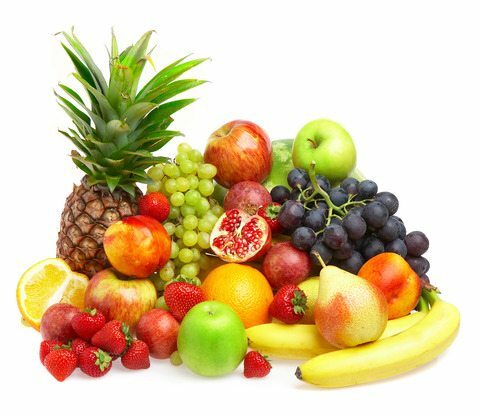 If not, maybe it’s time to fill your fridge with these healthy foods for happiness and start satisfying your happiness along with your hunger!